Creating a leadership pipeline provides a clear framework for people to learn and develop as leaders. It helps people know the responsibilities and expectations for each role on the pipeline. 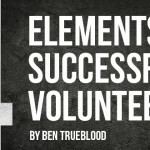 Often, volunteers burn out when they are thrown into a position that they have not been equipped and developed to be in. A leadership pipeline eliminates the necessity to practice leadership placement and allows you to practice leadership development. As people occupy positions, you can work on clearly developing them for the next level of leadership. Having a leadership pipeline allows leaders to master core competencies that are vital for the next step in their leadership journey. Volunteers and students will clearly know the expectations of the next level of their development, which helps them evaluate if the next step is a good fit for them or if they should continue to focus on the role they are in. Volunteers and students will thrive in an environment that has clear expectations and a pathway to follow that empowers, develops, and prepares them for the level of responsibility that comes with their next role. We have a saying around Lifeway Students: “always be recruitin’”. Having a leadership pipeline is a huge tool for your recruitment process. It lays the foundation of expectations that shows volunteers that you value them and that they are not alone in this journey. 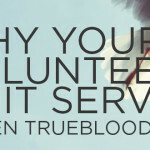 As a part of your recruitment process you will have to evaluate where that volunteer fits into your pipeline. They may be a great teacher who is moving into student ministry from kids ministry and are ready for an assistant small group leader role, or they may be new to working with students and need to start in a role that helps them develop and learn the nuances of student ministry. Students are also yearning for the opportunity to lead and develop. This generation of students is not content with just attendance; they want to be involved on a deeper level. Having a pipeline that develops student leaders is a great way to begin this process. If you are working with high school students, outline some roles for each age group and then think about what skills are needed for each role. Student Leadership University is also an incredible tool for you utilize and take your students to, to create leaders in your student ministry. You can find out more at www.slulead.com. Creating a leadership pipeline for students and volunteers will have a great impact on your ministry. It takes the guesswork out of the leadership process and allows more people to learn, develop, and be a part of the ministry. When you develop leaders, you are preparing your ministry for future opportunities.